Claire and Taylor are an outdoorsy, adventurous, active couple. 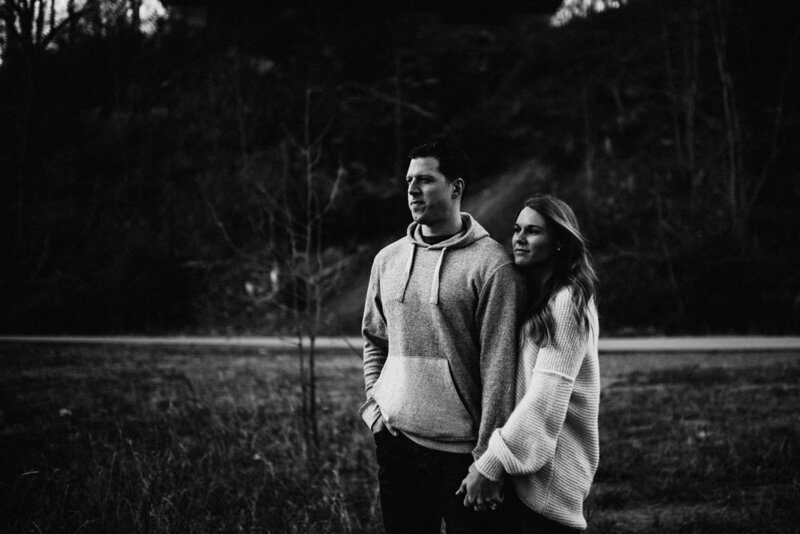 It seemed only fitting that we shoot their engagement photos in a woodsy environment. 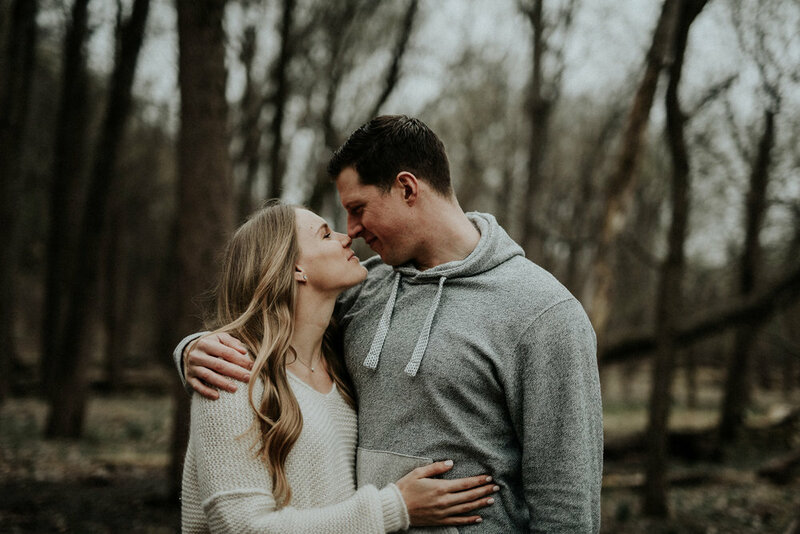 They currently reside in Minnesota but travel back to St. Louis pretty often to see family, so we planned their session for a weekend when they would be in town. The day of their session it was a bit chilly and gloomy, but they said it felt like a summer day compared to the weather up north, ha! I honestly had such a good time hanging out with these two. They were up for all my ideas and silly prompts - they weren't afraid to get close, and they really know how to make each other laugh. That combination always makes for great images :) We are so thrilled to be shooting their wedding here in town later this year!